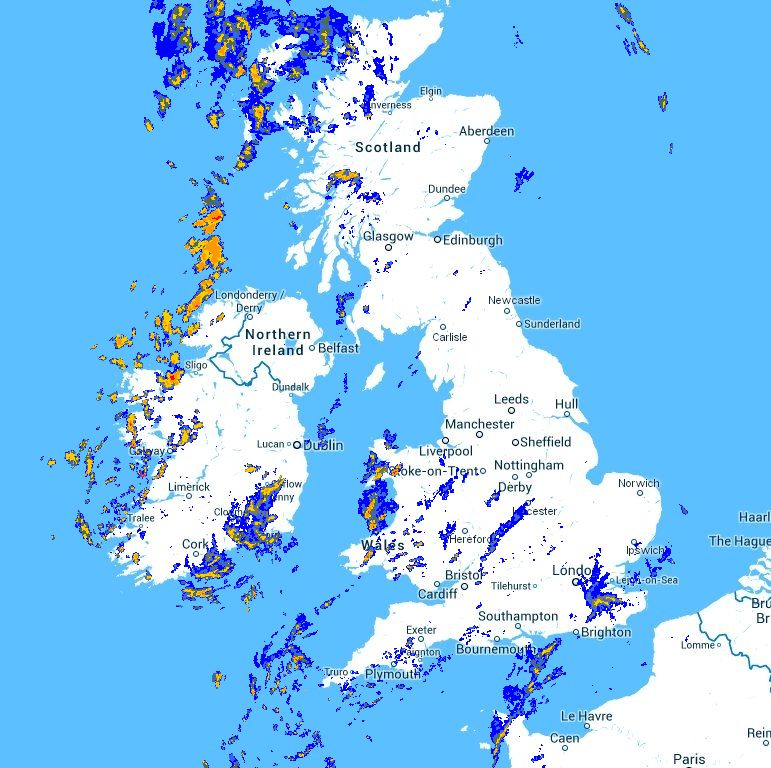 You can see some showers peppering Western areas of Ireland and Wales with some showers across parts of the Southeast this morning. 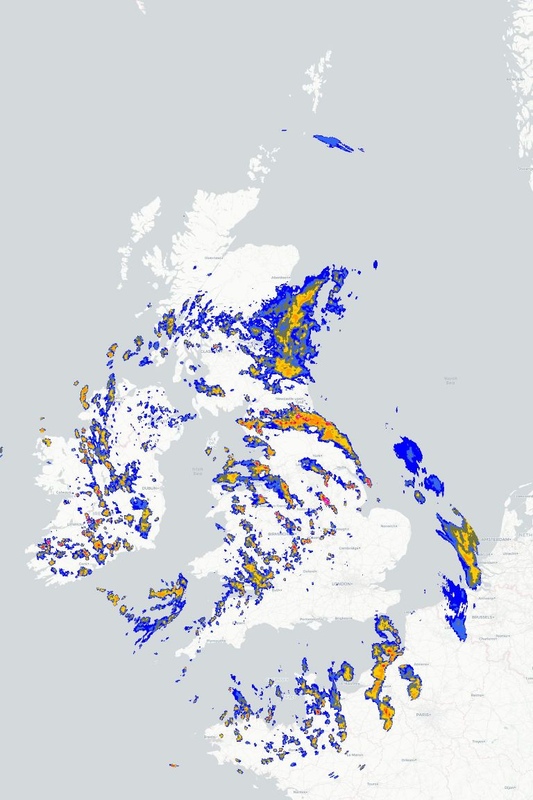 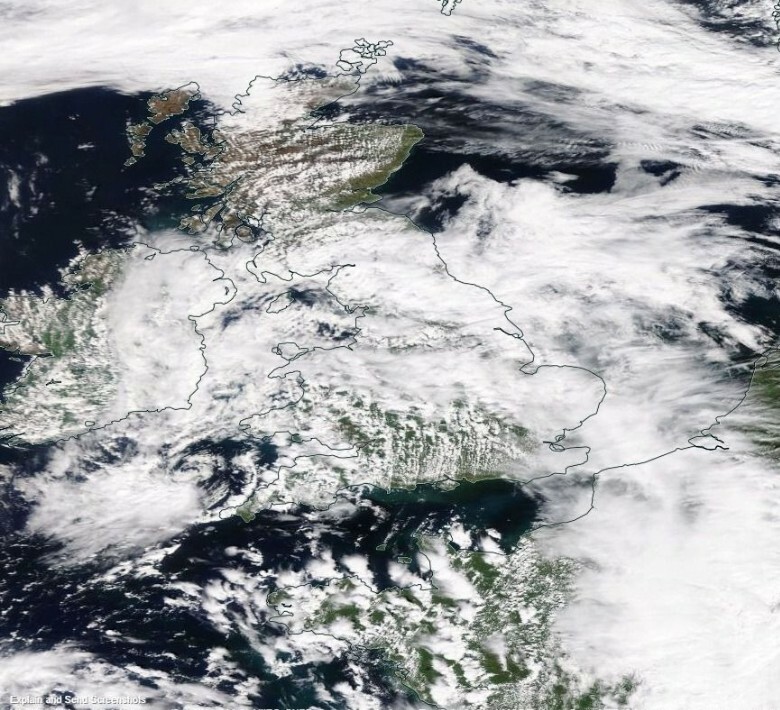 Plenty of high cloud across much of Southern and Central England as the frontal system runs Southeast, but showers pushing Northeast throughout today with perhaps some heavy ones for a time across Northeast England later. 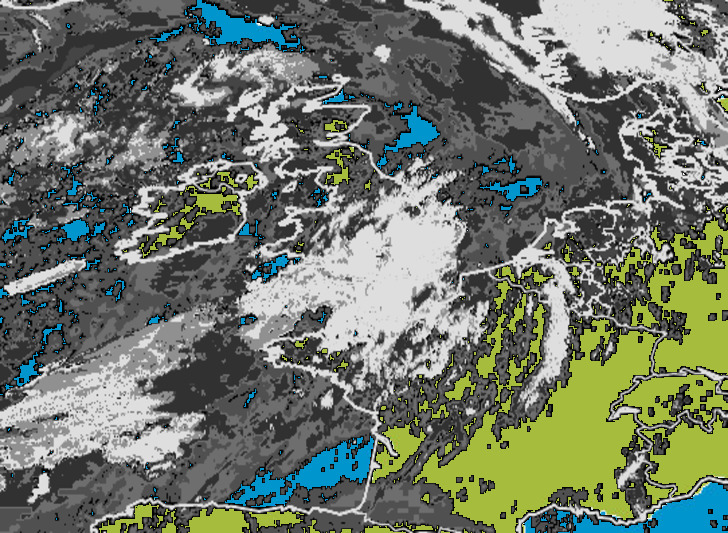 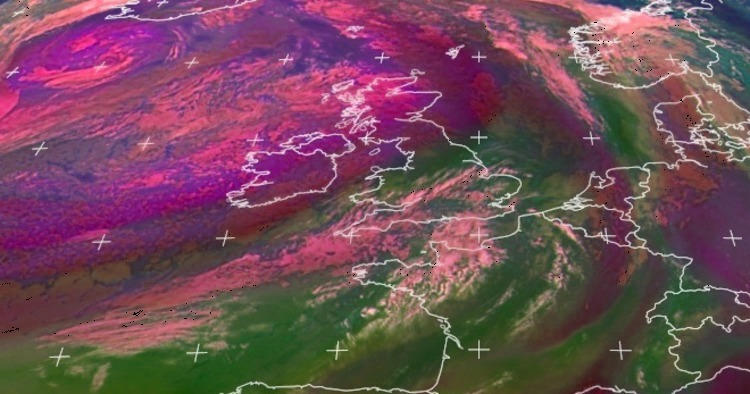 Airmass shows the cooler air across Scotland, Northern Ireland and Ireland with a lobe of warmer air across Southern and Central England this morning.